Though the story is set at the turn of the 19th century, it retains a fascination for modern readers, continuing near the top of lists of "most loved books." It has become one of the most popular novels in English literature and receives considerable attention from literary scholars. Modern interest in the book has resulted in a number of dramatic adaptations and an abundance of novels and stories imitating Austen's memorable characters or themes. To date, the book has sold some 20 million copies worldwide. The novel was well received, with three favourable reviews in the first months following publication. Anne Isabella Milbanke, later to be the wife of Lord Byron, called it "the fashionable novel." Noted critic and reviewer George Henry Lewes declared that he "would rather have written Pride and Prejudice, or Tom Jones, than any of the Waverley Novels." Jane Austen (16 December 1775 - 18 July 1817) was an English novelist whose works of romantic fiction, set among the landed gentry, earned her a place as one of the most widely read writers in English literature. Her realism, biting irony and social commentary have gained her historical importance among scholars and critics. Austen lived her entire life as part of a close-knit family located on the lower fringes of the English landed gentry. She was educated primarily by her father and older brothers as well as through her own reading. The steadfast support of her family was critical to her development as a professional writer. Her artistic apprenticeship lasted from her teenage years into her thirties. During this period, she experimented with various literary forms, including the epistolary novel which she then abandoned, and wrote and extensively revised three major novels and began a fourth. 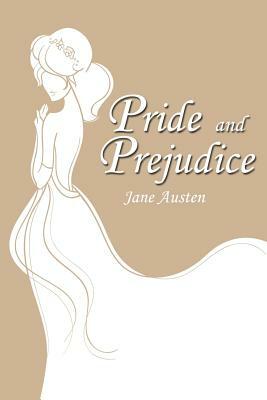 From 1811 until 1816, with the release of Sense and Sensibility (1811), Pride and Prejudice (1813), Mansfield Park (1814) and Emma (1816), she achieved success as a published writer. She wrote two additional novels, Northanger Abbey and Persuasion, both published posthumously in 1818, and began a third, which was eventually titled Sanditon, but died before completing it. Austen's works critique the novels of sensibility of the second half of the 18th century and are part of the transition to 19th-century realism. Her plots, though fundamentally comic, highlight the dependence of women on marriage to secure social standing and economic security. Her works, though usually popular, were first published anonymously and brought her little personal fame and only a few positive reviews during her lifetime, but the publication in 1869 of her nephew's A Memoir of Jane Austen introduced her to a wider public, and by the 1940s she had become widely accepted in academia as a great English writer. The second half of the 20th century saw a proliferation of Austen scholarship and the emergence of a Janeite fan culture.